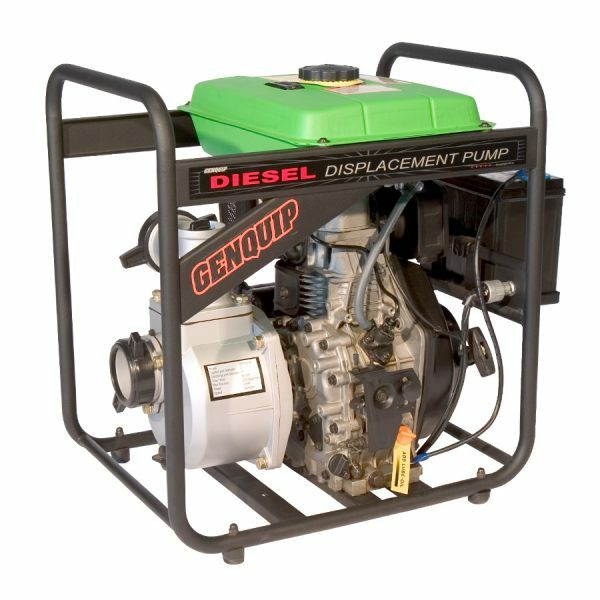 The Diesel Water Transfer Pump 3” is powered by the reliable and economical Genquip 6.6hp direct injection engine with electric start. 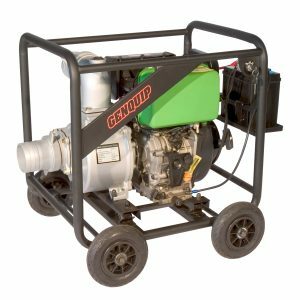 A maximum flow rate of over 800 litres per minute with a maximum suction head of 25 metres. Cooling system Forced air cooling by flywheel fan. Shaft rotation Clockwise from flywheel end. Click here to download the spec. sheet on all the Genquip Diesel Transfer Pumps.